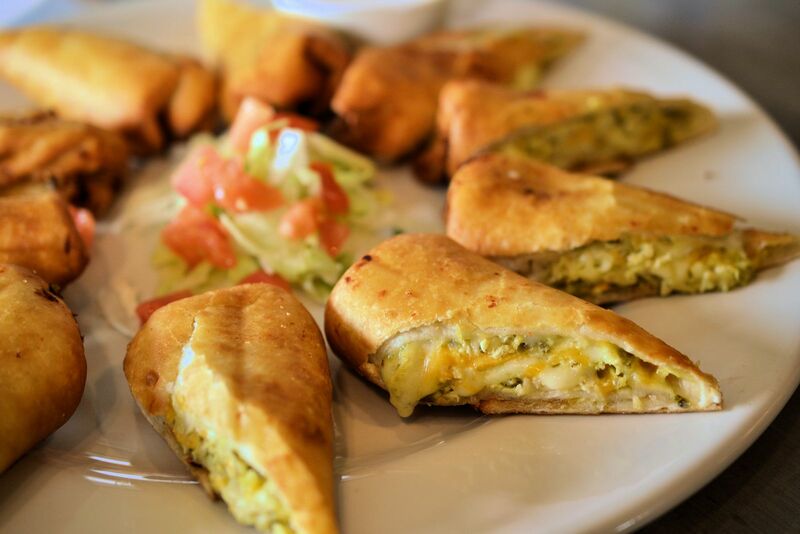 A delicious assortment of our Spinach and Artichoke dip, Championship Rings, Thundersticks and a Cheese Quesadilla make this a homerun platter. Shredded chicken, jalapeños and mixed cheese rolled into a flour tortilla and fried to perfection, served with a side of sour cream or ranch dressing. 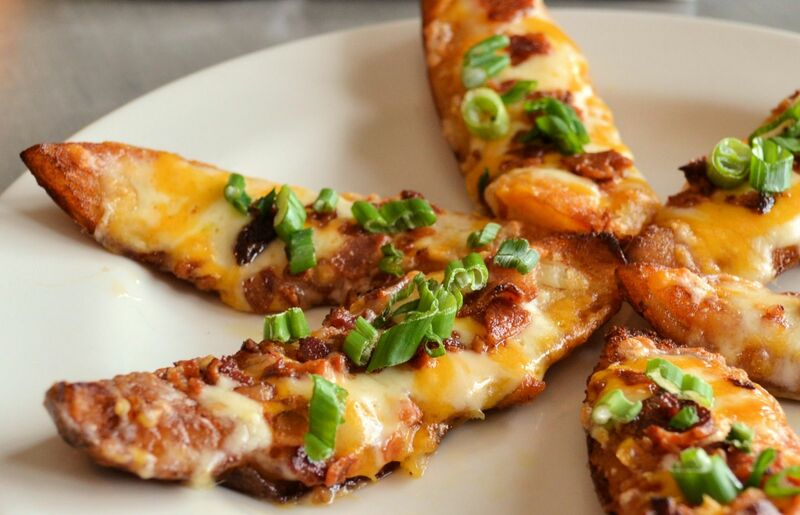 Potato skins loaded with cheese and bacon, garnished with scallions and served with your choice of sour cream or ranch dressing. A heaping basket of hand-dipped onion rings, served with a side of zesty ranch. Crisp leaves of romaine topped with grilled chicken, drizzled with parmesan-peppercorn dressing and finished off with parmesan cheese. 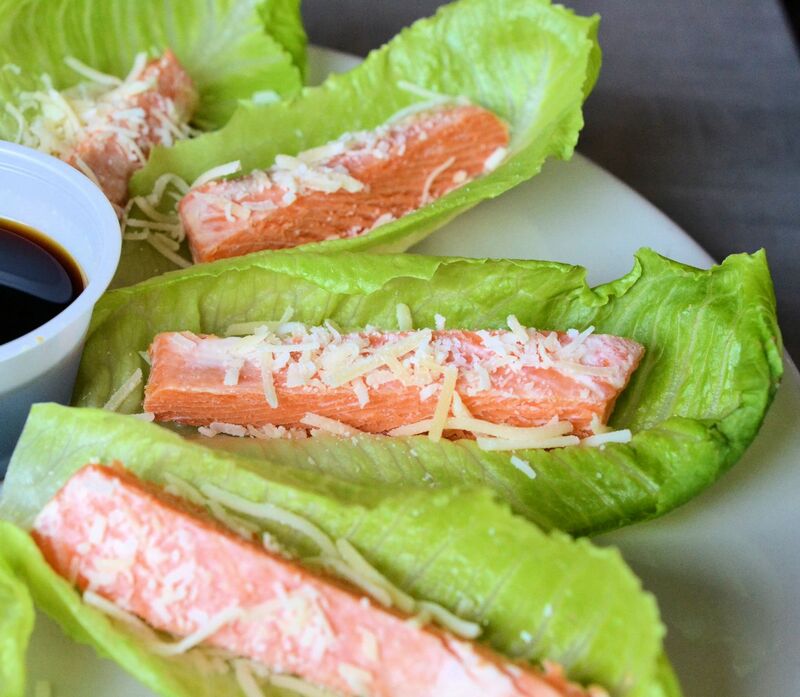 Smoked Steelhead trout served cold atop crisp romaine leaves, with parmesan cheese and a side of teriyaki glaze. Coach’s homemade Spinach and Artichoke dip served with tortilla chips. Queso cheese dip, Spinach and Artichoke dip and homemade guacamole served with fresh tortilla chips. 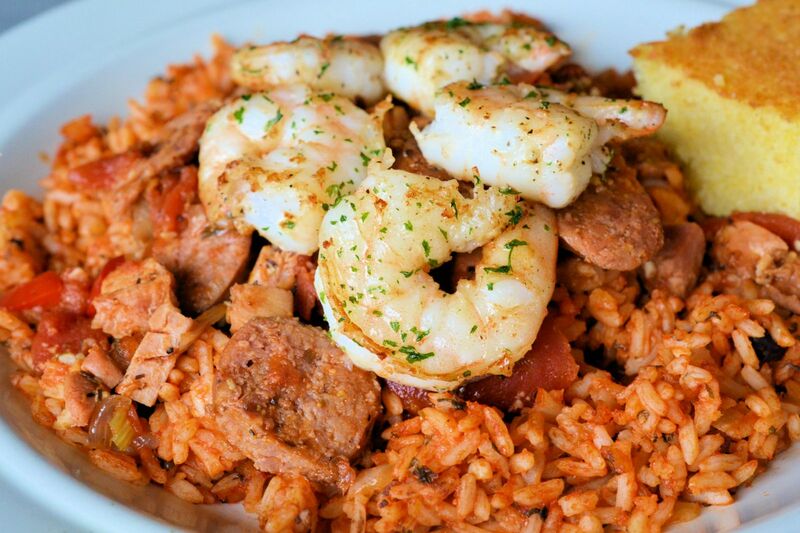 Sorry, no substitutions. Tender cuts of steak atop crisp tortilla chips layered with over a half pound of shredded cheese, tomatoes, onions and bleu cheese crumbles. 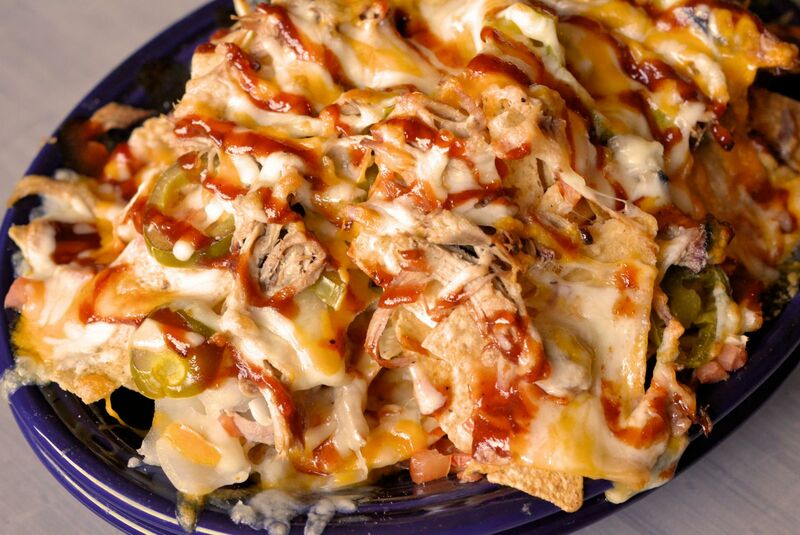 Tortilla chips layered with pulled pork, over a half pound of cheese, tomatoes, onions and jalapenos, drizzled with Coach's BBQ sauce. 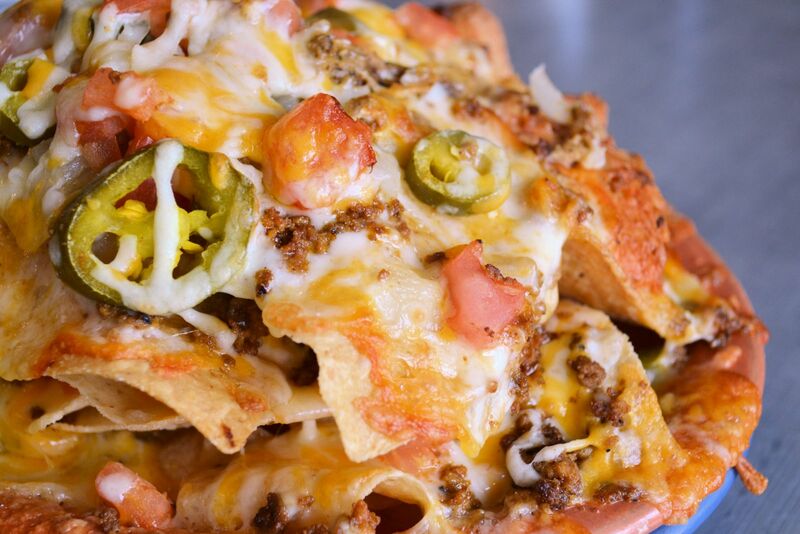 Tortilla chips topped with your choice of ground beef or shredded chicken, layered with over a half pound of cheese, tomatoes, onions and jalapenos. Minimum 5 wings per flavor. 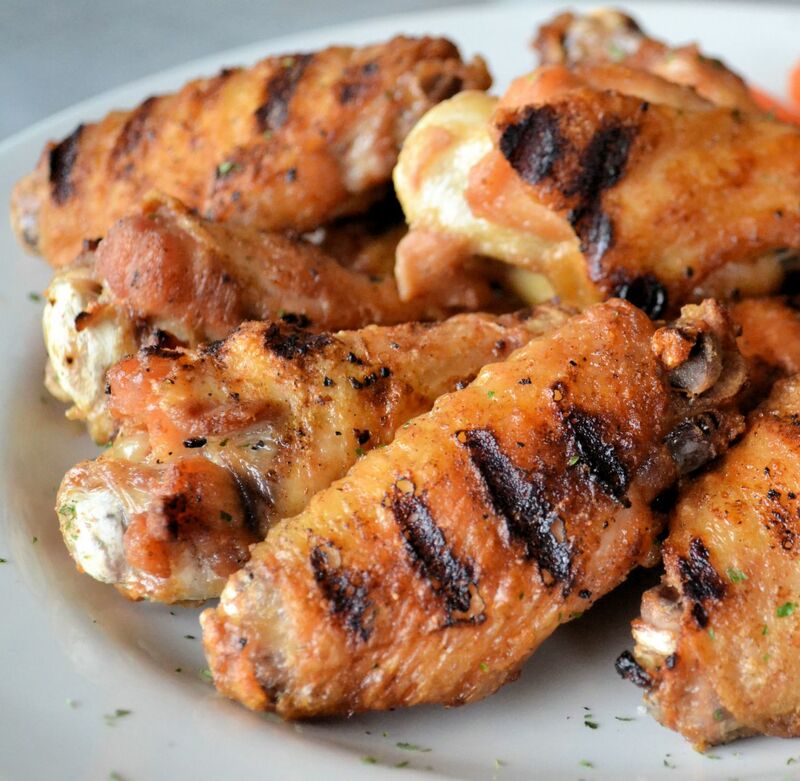 All wings come with one side of dressing per 10 wings. Don't care for bone-in wings? Make 'em boneless for no charge! Bleu cheese crumbles, bacon, sliced avocado, tomato and hard-boiled egg, served with your choice of dressing. A delicious medley of chopped ham, turkey, cheddar, Swiss cheese, cucumbers, hard-boiled egg and tomato, finished off with croutons, served with your choice of dressing. 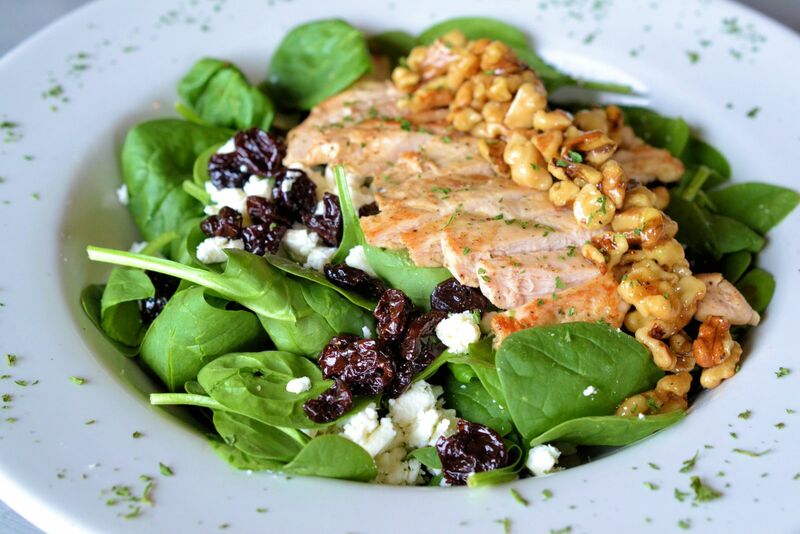 Baby leaf spinach topped with grilled chicken, dried cherries, honey-glazed walnuts & feta cheese crumbles, served with a side of mango-chardonnay dressing. 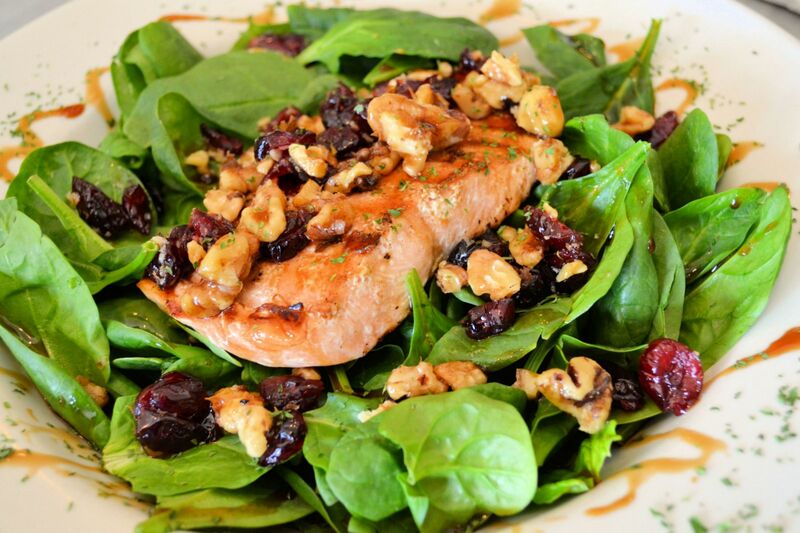 A tender grilled salmon fillet atop a bed of baby leaf spinach, topped with dried cherries, walnuts and a teriyaki glaze. Sorry, not available in half sizes. 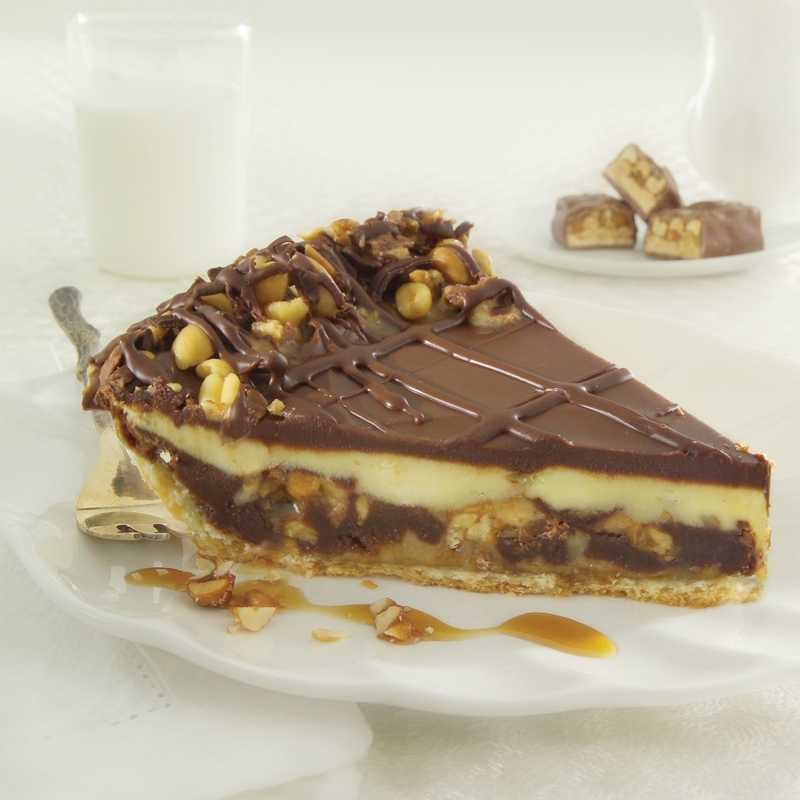 Our twist on a classic. Crisp romaine, parmesan cheese and croutons all tossed with parmesan peppercorn dressing. 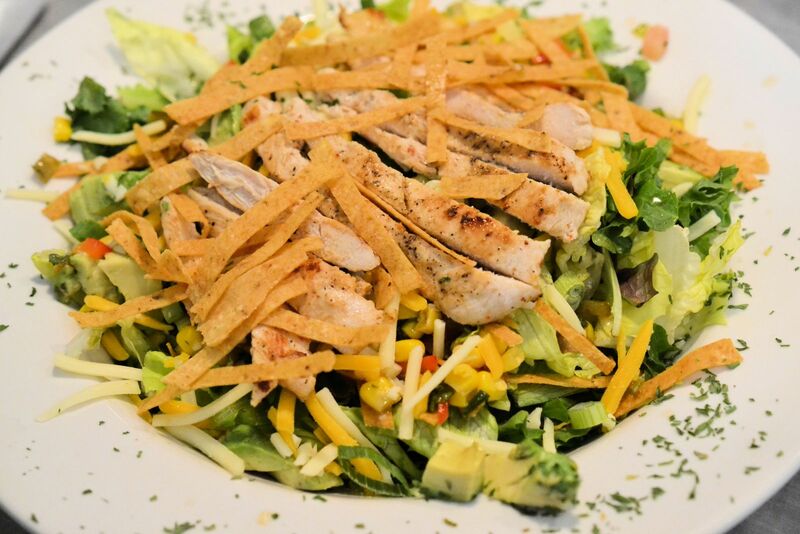 Grilled chicken, homemade corn salsa, avocado, tomato, shredded cheese and green onions, all topped with crispy tortilla strips and served with a side of zesty ranch. Bowl served with cornbread. 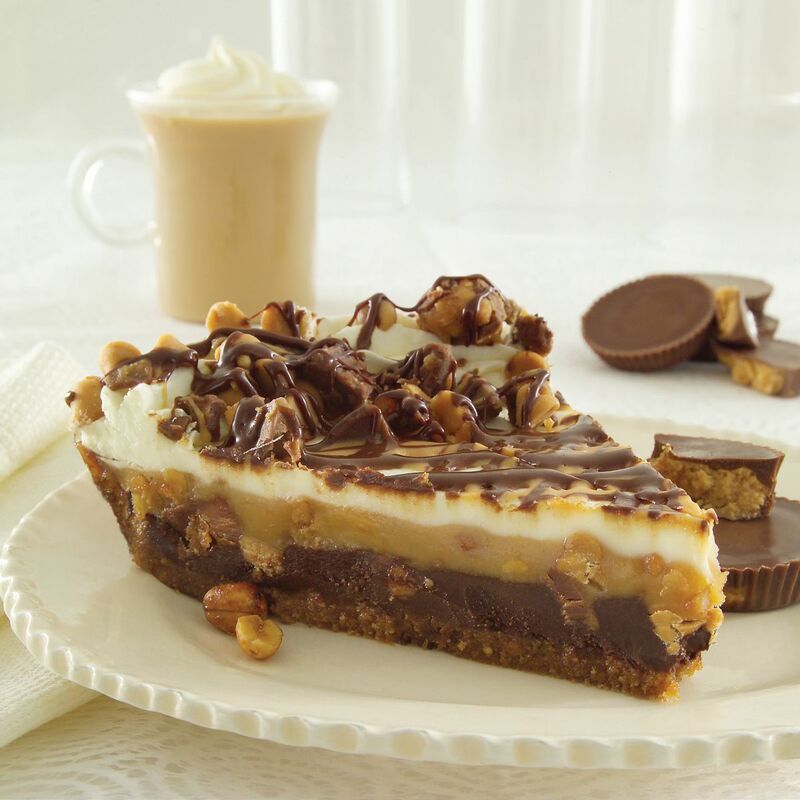 Also available by the quart for carryout. Over one pound of food for the hungriest appetites! 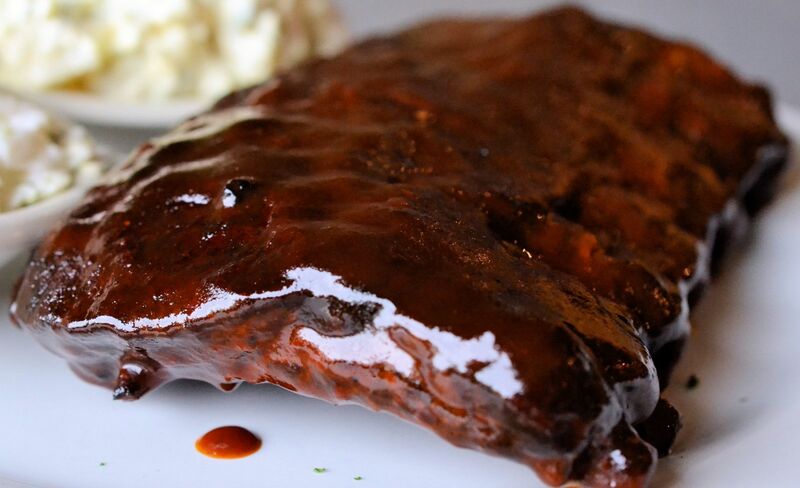 Tender beef brisket, hand-pulled pork and our famous Uncle John’s wings served with sweet cornbread and plenty of BBQ sauce. A generous 14 oz. cut of smoked prime rib, cooked to your liking and served with a baked potato, fresh veggies and a side salad. All Home Plates are served with a side salad. 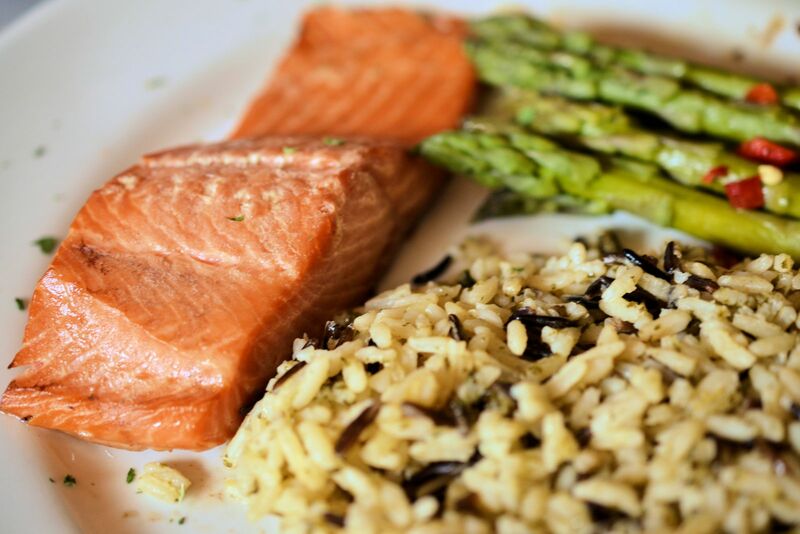 A tender salmon fillet, grilled or blackened, served with wild rice, veggies and garlic toast. 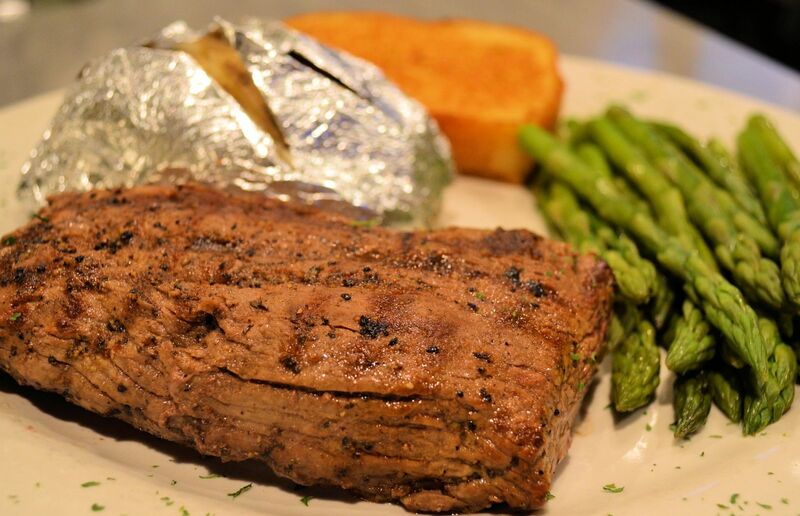 Our tender hand-cut sirloin steak grilled to your liking and served with a baked potato, veggies and garlic toast. Homemade with five cheeses, baked to bubbly perfection and served with garlic toast. Creamy garlic alfredo sauce served atop penne noodles and tossed with sundried tomatoes and bacon, served with garlic toast. 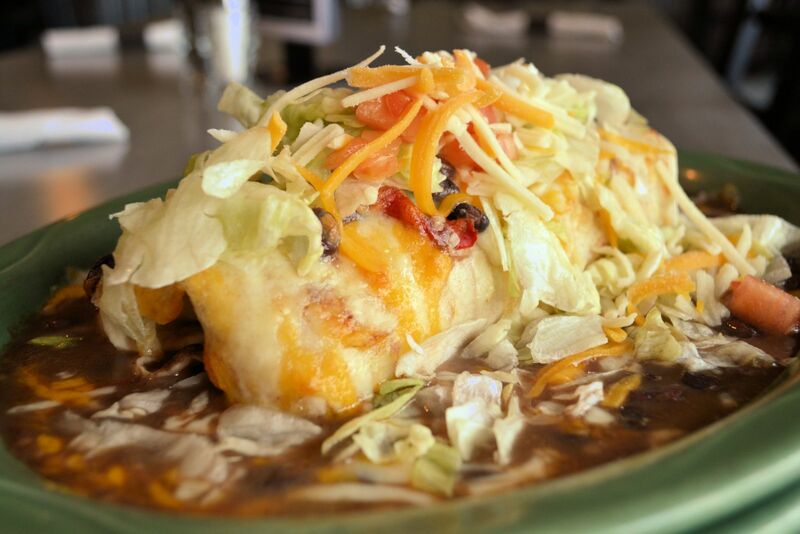 A giant burrito stuffed with your choice of seasoned ground beef or shredded chicken, topped with our mild burrito sauce, lettuce, tomato & cheese, served with sour cream. A burrito stuffed with our homemade black beans and Spanish rice topped with more black beans, lettuce, tomato and cheese, served with a side of sour cream and salsa. Shredded chicken, bacon and shredded cheese in a grilled flour tortilla, served with a side of salsa and sour cream. Black beans, Spanish rice, onions, tomatoes and bell peppers all stuffed in a spinach tortilla full of cheese, served with a side of salsa and sour cream. Crispy chicken tenders served with straight-cut fries and your choice of dipping sauce. 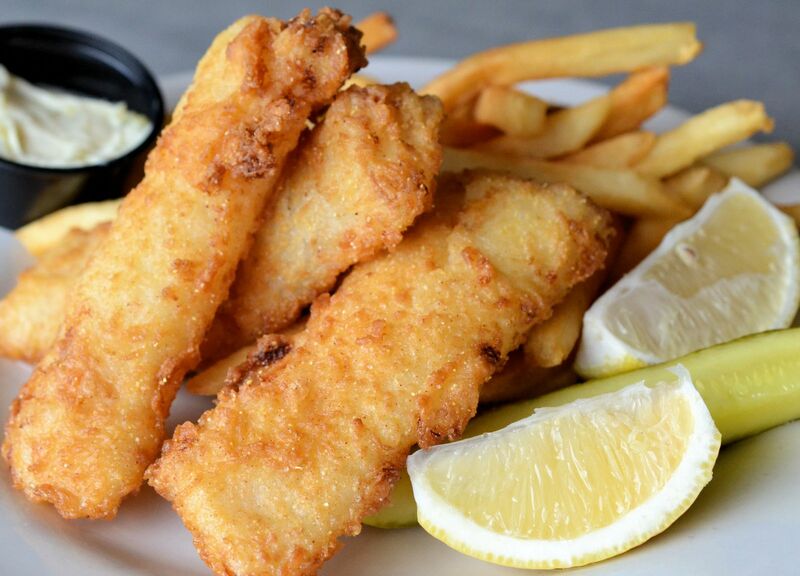 Hand-breaded Atlantic cod golden fried and served with straight-cut fries and homemade tartar sauce. Technically speaking, this one is tough to beat! Grilled onion and red pepper, pineapple, Pepper Jack cheese, lettuce and tomato, all atop our juicy burger drizzled with our homemade sweet habanero sauce. Classy yet hard-nosed. Bacon, sliced avocado and bleu cheese crumbles. 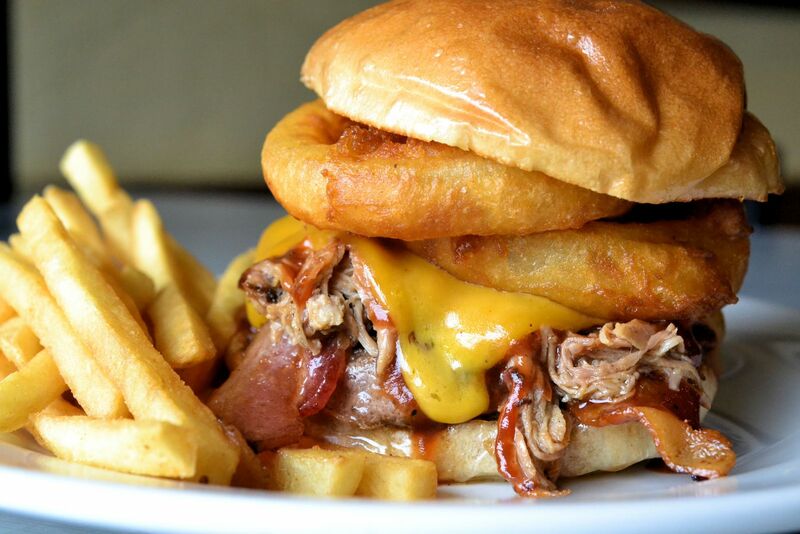 Smoked pulled pork and bacon stacked atop a juicy patty with cheddar cheese, onion rings and BBQ sauce. Just a sloppy mess! Sliced green olives stacked high on a juicy beef patty with lettuce, tomato and our homemade Olive Mayo. All burgers are served plain. 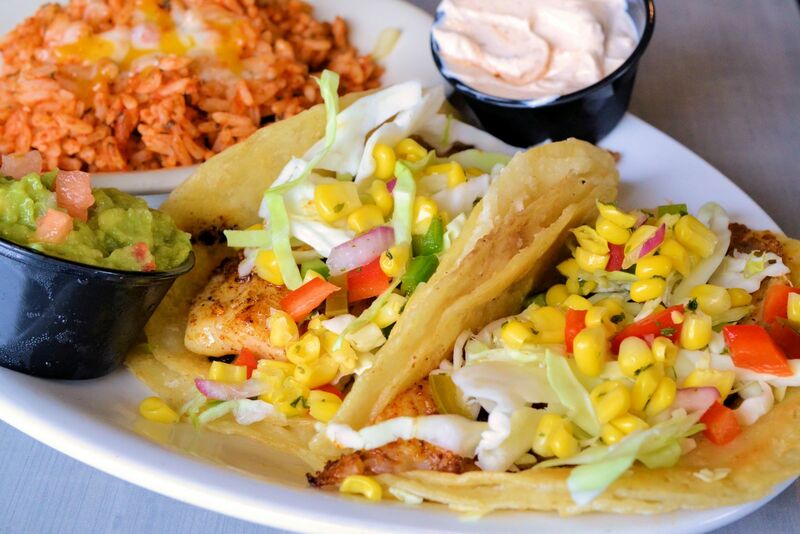 We'll happily throw on the lettuce, tomato, onion & pickle if you want it. Substitute a black bean burger or grilled chicken breast for no charge. All wraps and sandwiches come with a side of french fries. Tender roast beef, bacon and Swiss cheese with zesty horseradish sauce in a jalapeño-cheddar wrap, served with a side of Au Jus. 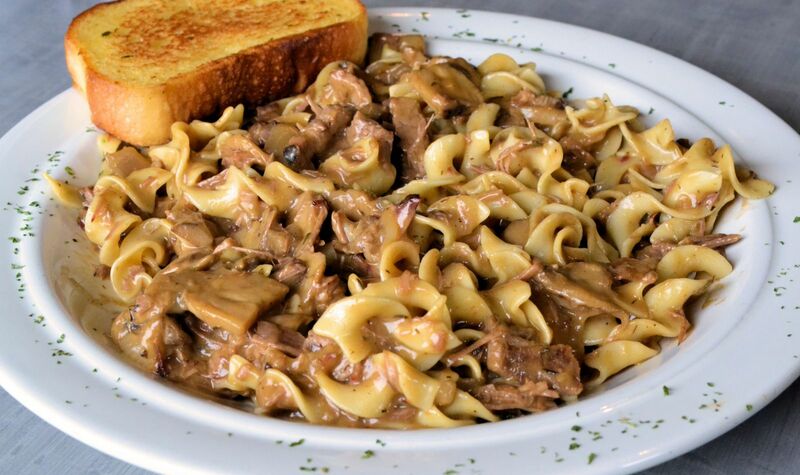 Tender roast beef, grilled onions, grilled peppers and melted Swiss cheese on a French roll, served with a side of Au Jus. Smoked turkey, bacon and Swiss cheese, topped with lettuce and tomato on a soft pretzel bun. 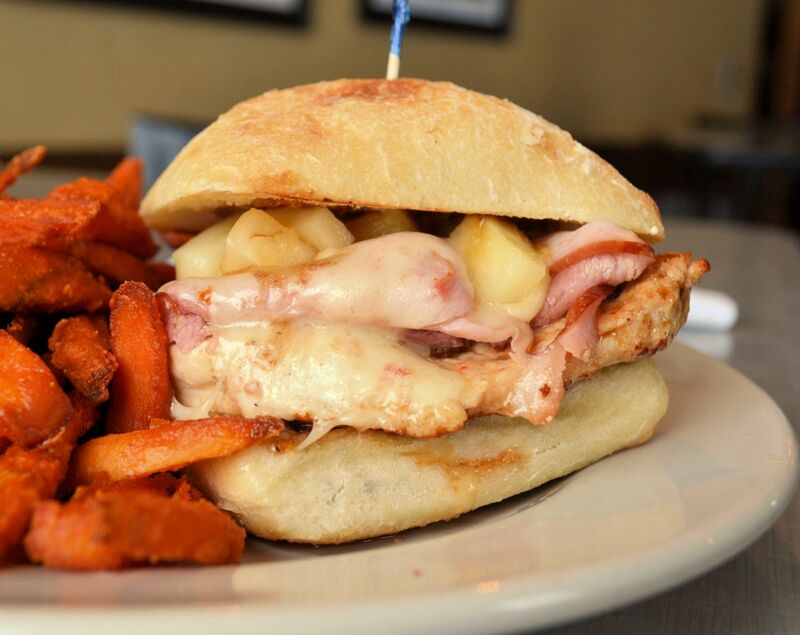 Grilled chicken and smoked ham, topped with melted Swiss cheese, grilled pineapple and a teriyaki glaze on a soft ciabatta roll. 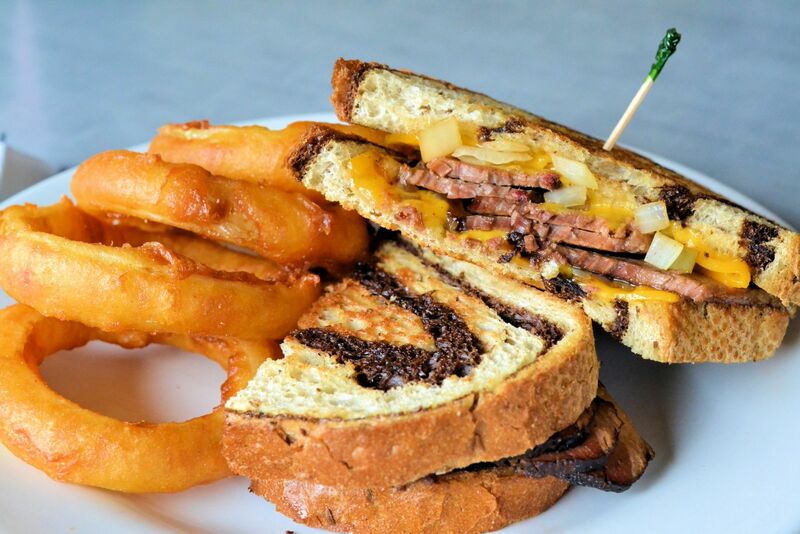 Smoked beef brisket, grilled onions and cheddar cheese all on toasted marble rye,s erved with your choice of BBQ sauce. Grilled chicken, bacon, sliced avocado, lettuce and tomato drizzled with BBQ ranch dressing and rolled into a flour wrap. Grilled chicken, mango, sliced cucumber, spinach and tomato in a spinach wrap, served with a side of mango-chardonnay dressing. Slow-smoked pulled pork on a soft pretzel bun, served with your choice of BBQ sauce. Slow-smoked beef brisket on a brioche bun, served with your choice of BBQ sauce. Our slow-smoked corned beef, sauerkraut and Swiss cheese stacked on toasted marble rye and topped with Thousand Island dressing. 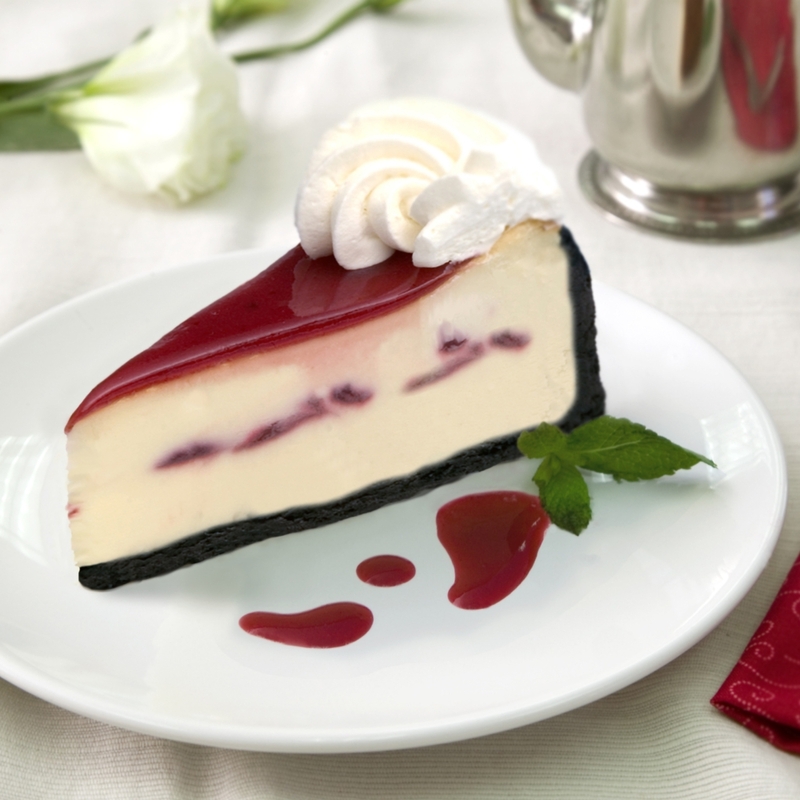 A dark chocolate crust holds a sweet, white chocolate cheesecake filling, swirled with tart red raspberries, and scallops of cream to create a flavorful dessert.